Paul Dobson is a Senior Lecturer and Consultant at Staffordshire Business School (SBS) in Digital and Strategic Marketing, including Search Engine Optimisation, Conversion Rate Optimization, Growth Hacking, Inbound and Outbound Marketing, Mobile and Social Media Marketing. He has been lecturing and undertaking consultancy at SBS for eight years. Paul is actively involved in giving hands on demonstrations of making Digital Marketing effective in various European businesses environments, this includes: changing a loss-making pub to a profit by marketing on FaceBook, improving hotels and restaurants search engine ranking with Inbound marketing and SEO, enabling restaurants to increase sales during off-peak times using chatbots, increase B2C sales using Geolocation. Paul has three masters degrees, and is undertaking a PhD in Social Enterprise Marketing Strategies. 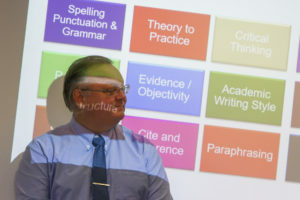 He is a Senior Fellow of the Higher Education Academy, Fellow of the Chartered Management Institute and member of the Academy of Marketing, member of the Association of Internet Researchers and has presented various Digital Marketing topics for the Chartered Institute of Marketing (CIM), Manchester Metropolitan University Postgraduate Research Conference, Chamber of Commerce, etc. He has also presented using Innovative Technology and Learning at the Association of Business Schools and he has also been the Regional Chair of the CIM. 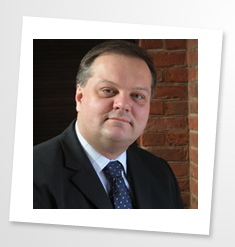 Prior to SBS Paul has over 25 years’ experience working in various internal and external consultancies, including working in the UK, France, and Germany. As a hobby he helps local Charities, Social Enterprises and businesses with their digital and strategic marketing.